Everyone needs a great pair of leggings. For running in the cold weather or for comfortable fashion pants, leggings are a gift from above. 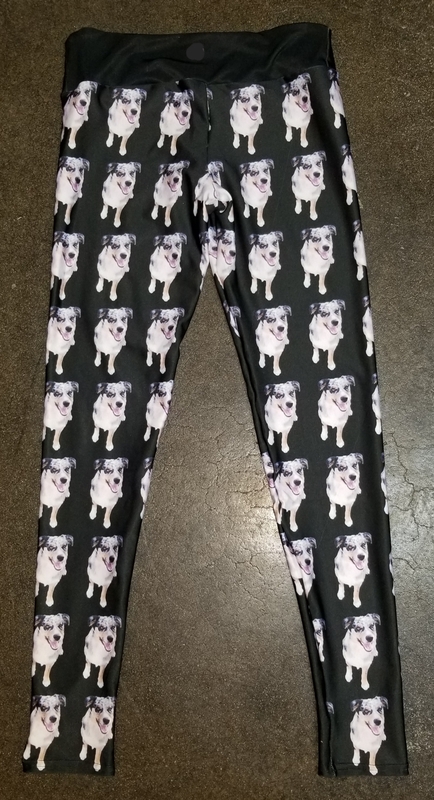 And now, you can have your own personalized leggings! 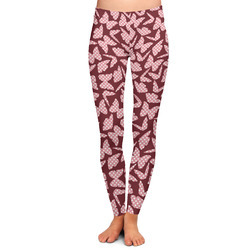 These leggings are fabulous with some crazy patterns. They are a breathable poly-spandex material (88% polyester and 12% spandex), so they give the possibility to wear them for running or fashion. They have a tall waistband, which is approximately 3.5" - 4" (depending on your size). The tall band allows for wearing your leggings high or low. They are perfect for every occasion. Designing these leggings is the best part. Pick a crazy pattern or some fine art to get going. Add your name / text and a graphic to either the side or front! And there are your perfectly personalized leggings. If you ever need any help in our design center just give us a call. We are always happy to assist you in any way possible. These turned out amazing. My only complaint is there is no size chart for the yoga pants. Other that that, they are fabulous.